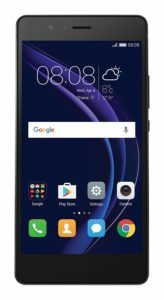 Looking to buy Honor 8 Smart (Black, 16GB) ? Amazon is selling Honor 8 Smart (Black, 16GB) at Rs 7499. You can also get an additional cashback of 10% upto Rs 2000 if you make the payment via Citi Bank credit card or Debit card. So, hurry up!! How to Buy Honor 8 Smart (Black, 16GB) at Rs 7499? 1 year manufacturer’s warranty for the device, Battery / Adapter comes with pack of 6 months Warranty and 3 months for Data/USB Cable.